Home Farm is a family run campsite that lies in a village that is mainly stone built with some thatched cottages. 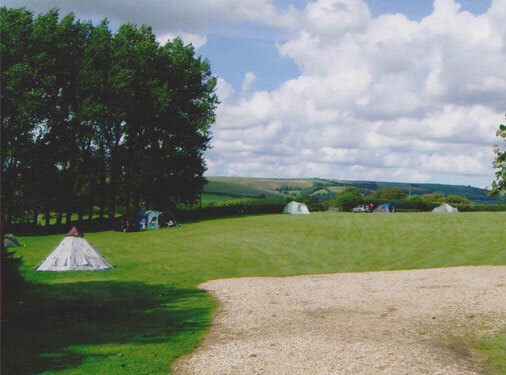 The site is situated in a lovely conservation area in Dorset and near the coast. There is a public house just up the road which serves good food. The local area is great for touring and walking. There are scenic views everywhere. You have a lovely view of the surrounding hills from the tenting field. The site lies one mile from West Bexington with the Chesil Beach, South West Coastal footpath and Shoreline fishing. We accept tents, caravans, mobile homes, camper vans, dive boats with trailers and other small boats. All pitches are on grass and either un-serviced or semi serviced with electric hook up. Drinking water taps are situated around the fields. We accept tents, caravans, motor homes, camper vans, dive boats with trailers and other small boats. 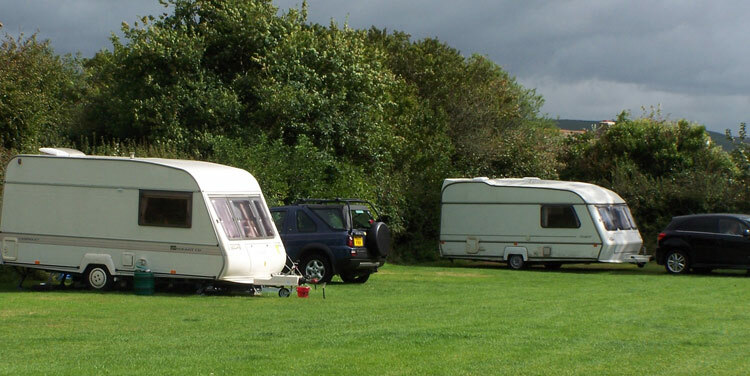 All pitches are on grass and either un-serviced or semi serviced with electric hook up. Drinking water taps are situated around the fields. Toilets, Showers, Wash Basins, Razors points, Hair Dryers, Hand Dryers, Washing up sinks, Ice pack facilities, Bottle Gas exchange, Chemical disposal point. Parking by your pitch. The Jurassic Coast and UNESCO World Heritage Site runs from Swanage to Lyme Regis. There is an hourly Bus going along the coast travelling from Poole to Exeter, taking in Weymouth, Abbotsbury, Bridport, Lyme Regis and Seaton. Bus time tables may be obtained from reception on request. The Jurassic Coast extends into nearby Devon. West Bay has a harbour with RIB. Also Angling Centre. Diving, Pleasure & Angling Trips, River Boat Hire & Lyme Bay Rib Charter. Cruises, water skiing, crab fishing, boat fishing and a tackle shop. Bridport and West Dorset Golf Course are also nearby. You can enjoy fossil hunting from Charmouth and find fossils on the beach. There are also guided fossil hunting tours to be booked, and fossils to be bought. Rock pools can be found here. Lyme Regis has its famous Cobb and Harbour and a Sandy Beach along with restored Water Mill and Fossil Museum. At Weymouth there is a long sandy beach, Punch and Judy shows, Sand Sculptures, Donkey rides a RSPB reserve, Sea Life Centre and much more. Portland Bill is also nearby. Dorchester is an old Roman town that has an excellent Museum with many Roman artefacts. The town also has a Henge and Maiden Castle (Iron age Fort). The Tolpuddle Martyrs were tried in Dorchester by the infamous Judge Jefferies and transported to Australia. They are considered to be Britain’s first Trade Unionists. The village of Tolpuddle with its Martyrs Museum is nearby. Abbotsbury has its famous Swannery, Tithe Barn and St Catherines Chapel on the hill, and its Sub Tropical Gardens. The fleet lagoon is at the back of the Chesil beach and haswading birds, fish, plants and a glass bottom boat journey to experience. Portland has a Sailing Academy and Rock Climbing. Other places of interest within a day trip journey are Corfe Castle, the Corfe to Swanage Heritage Steam Railway, Lulworth cove, Durdle Door and Studland Bay all beautiful places and on the Purbeck Peninsula. The A35 allows easy access to other attractions. There are many Castles, Gardens and Country Houses to explore and enjoy within a short distance. 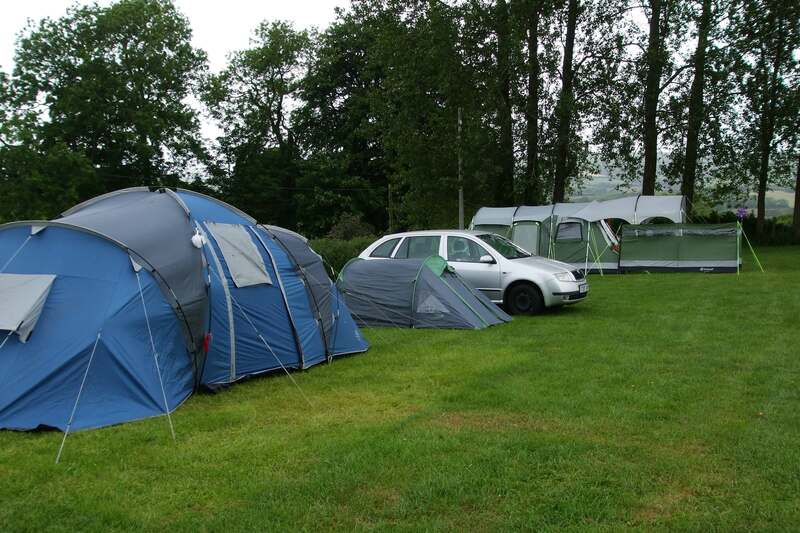 Have a look at what we charge per person along with add-ons, such as Awnings and Gazebos. Click here to get more information. Interested in finding out more about us? Visit our testimonials page to see the reviews we have received from previous visitors. Wanting to get in touch with us? Visit our contact page or call us directly on 01308 897258 today!